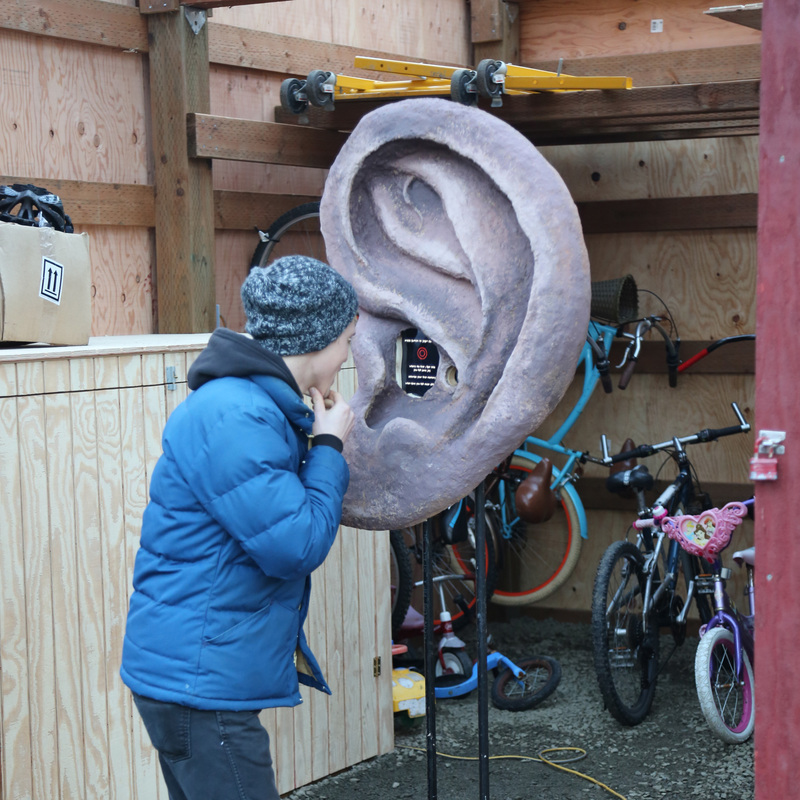 This giant ear records what you say. It could be a story, a new idea, a secret, a joke, or something you’ve been thinking a lot about. 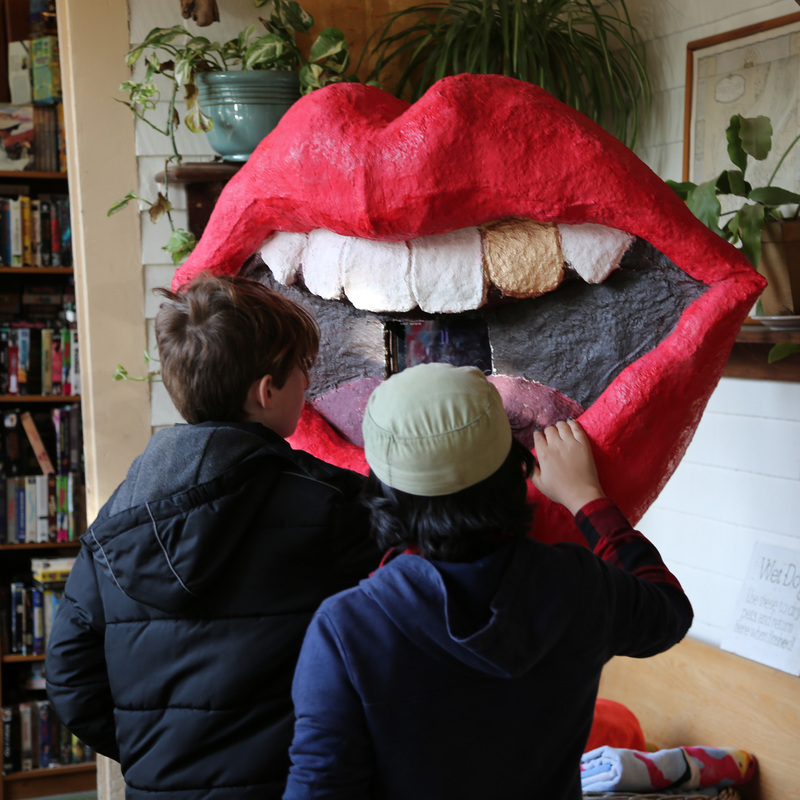 What you share can be heard by someone—anyone at a giant mouth located somewhere across the city and on a website like this one. Because the more we listen, the more we understand. Fewer strangers, more friends. Less fear, more love. A group of coders, writers, artists and designers. We got together in the fall of 2016 with a simple idea of getting people talk to and listen to each other more. 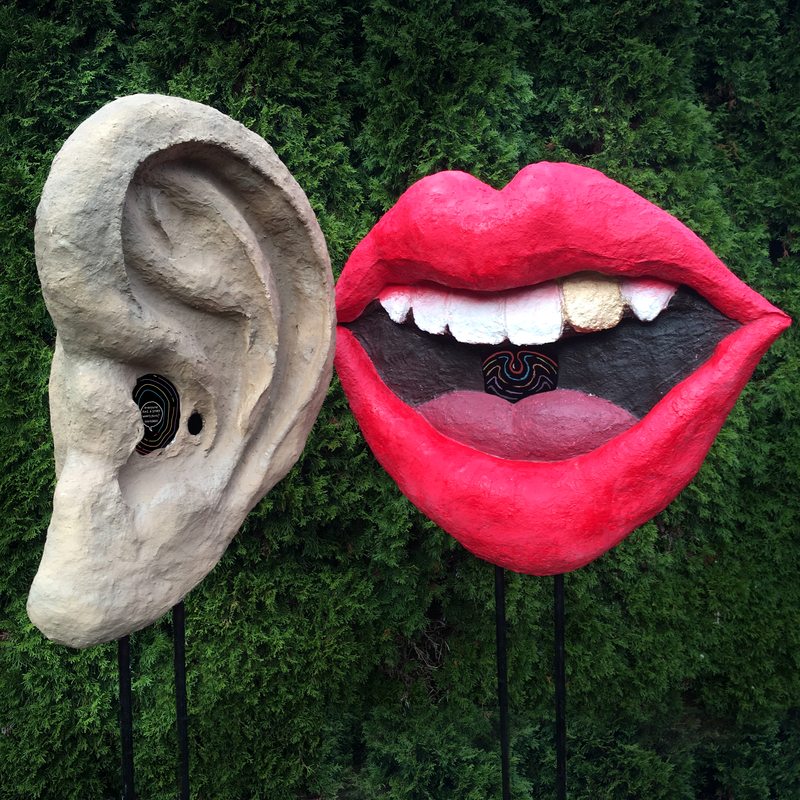 We started with the ear, and then the mouth … and we have more ideas brewing. Well, the ear and mouth will move around quite a lot … for now. We may find more permanent installations as the project grows. Right now, we’re working on getting grant funding as we seek new places for the ear and mouth to visit, and as we build more structures. If you have ideas, want to support, or ask us a question send us an email.